I think I might hate Final Fantasy X. And that's strange because it really is a very good game, perhaps even the last truly great game in the series (XII went a little too off piste for me). Playing the game again in its HD remastered form only highlights its strengths and weaknesses, even if nostalgia has coloured the view. The world itself is as stunning as you remember, despite some blurry PS2 textures and disappointingly grainy CGI cutscenes. I first played the game during a summer holiday back in 2003, but all the sun I needed was in the tropical paradise of Spira. 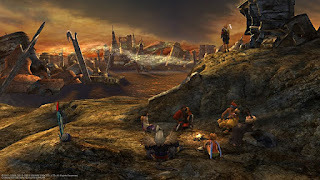 After the adult, more apocalyptic tones of the previous games in the series, Final Fantasy X offers a vibrant, colourful world: from the intricately detailed patterns on clothing and walls, to sprawling vistas of jungles, beaches and glittering forests. Even today, it's still a worthy spectacle. The game's music, from series composer Nobuo Uematsu, is one of his best scores and it's here presented in rearranged form. The game's opening really exemplifies the contrasts in his magnificent music: the haunting chorale of the opening cutscene followed by a cinematic with screaming rock guitars. And along the journey, there are breezy piano melodies, military marches, church hymns, and futuristic synths, but it's the way that themes are developed and interwoven that really impresses. 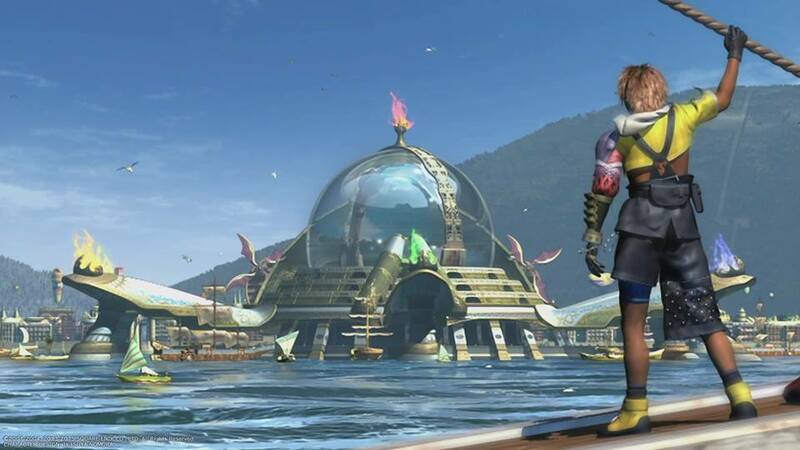 The story, though, is Final Fantasy X's best asset. It incorporates many of the traditions of the series - fantastical summons, familiar characters and beasts, and a magic vs technology theme - but it's plot is a biting criticism of religion as the group of heroes journey to battle Sin and save a world that's caught in a spiral of death. Yet while that sounds melancholic, the bright visuals and cast of chirpy characters provide welcome contrast. 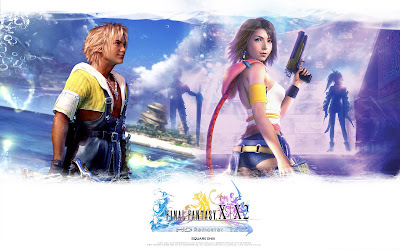 Their idiosyncratic design matches their memorable personalities and lead protagonist Tidus, while initially annoying, honourably overcomes his daddy issues over the course of the game, making up for a love story that's underwhelming. In battle, the characters' unique abilities ensure combat is perpetually satisfying. Where other games in the series are more complex, the transparency of Final Fantasy X's battle system is thoroughly enjoyable: swapping characters in and out to make use of their varied techniques and improving their statistics on a vast board of power ups. Throw in some flashy overdrive moves and the series' coolest summons and there's spectacle to match the simple strategy. So why the hate? 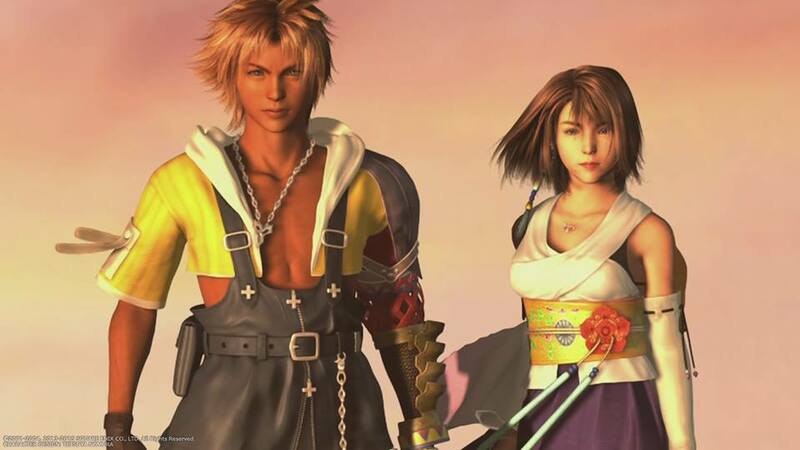 Sadly Final Fantasy X is lumbered with absolutely infuriating side quests. Gaining access to the best weapons and most powerful summons requires playing through extra content that reveals a gaping wound of flaws. There's chocobo racing and butterfly catching that both demand absolute precision while wrestling with shoddy controls and a confusing camera. There's Blitzball, a broken and easily abused mini-game that proves how no sport benefits from menus. And then there are the super bosses, which sharply spike the difficulty and require hours upon hours of tedious grinding to overcome. Of course, fans of the series have come to expect this content and it is technically optional. 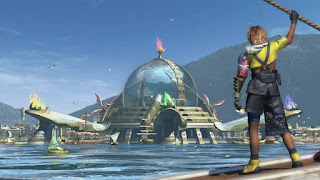 But when the main quest is surprisingly short (for RPG standards) and its battles, though fun, very rarely demand much in the way of skill, you'll be longing for further challenging content. These side quests are such a slog to get through, however, they turn a fun game into a chore, souring an otherwise excellent experience.